Behringer announced on last March that they were creating a Minimoog D clone. The model will be available for pre-order in September, for less than $300. 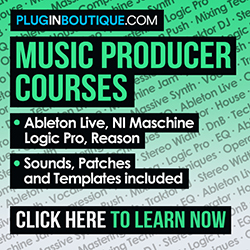 The product will be delivered as a desktop module and will have three oscillators, a filter section, amplitude, controllers, mixer and output sections. 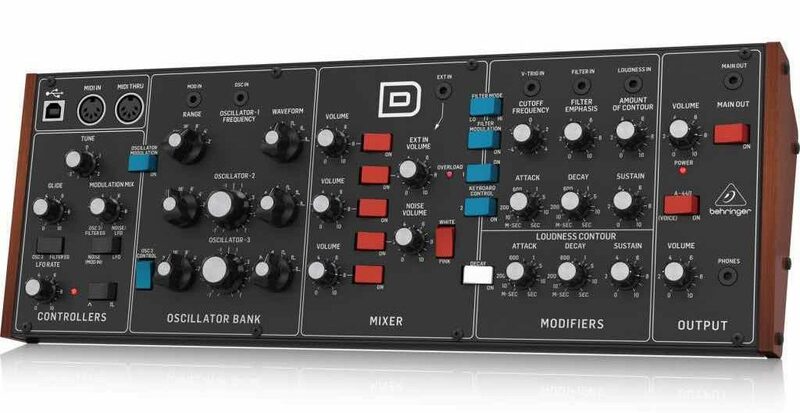 Behringer’s has cloned, at least visually, the whole Moog D panel. All controls and buttons are there, with slightly different names. The Controllers section has knobs to control tune, glide and modulation mix, but there’s also an LFO Rate knob with a switch for choosing between saw and square waveforms. The Oscillator Bank section, with the three available LFOs, has the same Range and Waveform selectors, but with additional CV controllers. The Mixer section has volume controls for the oscillators, as well as the Noise volume control, with a switch for white or pink noise, and there’s also an external input jack, with a correspondent volume control (the original Moog D also has this feature). Then there’s the Filter section, with controls for cutoff frequency, filter emphasis (or resonance) and amount of contour. There’s also an EG section, with knobs for attack, decay and sustain. There are V-Trig, Filter and Loudness CV inputs as well. The Loudness Contour section, or amplitude section, has controls for attack decay and release. The Main Output section has typical volume knobs for main out and phones, as well as the A-440 tuner switch. The back panel has a DC input, power switch, Midi channel selector and Main left and right outputs. Behringer has maintained all routing switches, as well as the 5-pin Midi In and Midi Thru jacks. The product has, of course, a new USB port for connection to a computer or other Midi devices. The big question is: will Behringer be able to deliver the same acclaimed Minimoog sound quality? Let’s wait and see.